Looks around. This place is comfortable. I was attempting to explain why I like it over other places in town to a friend last week. It’s dark & soothing despite the huge picture windows, despite the conversations buzzing around me. About school, a test. About politics. God. K-State football. I love the sounds and the intoxicating smell when the baristas are roasting the coffee beans. Wooden tables, hard wooden chairs. I love that staff know my name. A few other regulars recognize me and smile or stop to say hello. Yeah. That’s why I like Radina’s. with the fire of the stars. 3 Social Media Myths that Can Cripple our Author Platform. Kristen Lamb makes some great points about using Twitter and blogs. And so does Jody Hedlund in Which is the Best Social Media for Connecting With Readers? Jody’s experience connecting with readers is eye opening, especially when we writerly-types are stretching ourselves every which way AND trying to write & to publish! After reading Jody’s post, I remembered I hadn’t “facebooked” my last post. And incredibly, when I did, I had a huge number (for me) of clickthroughs. Do You Admit To Being A Writer In Public? by The Creative Penn. Why yes, yes I do. And now I have a logline for Keeping the Family Peace so I can tell you about it! And @JamiGold must’ve known I was working on the love story arc in my WIP. Great timing! Write Romance? Get Your Beat Sheet Here! 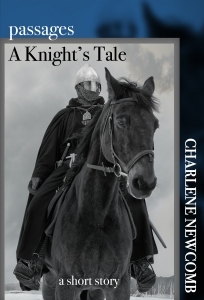 I have 1 more chapter to finish up the middle section of my crusaders novella! Okay – 1 more chapter plus a scene I need to go back and add. I’d love to finish both up this weekend because I should be diving back into Family Peace in 9-10 days. This post is a day late & I’m finishing it up over the lunch hour! AGH! 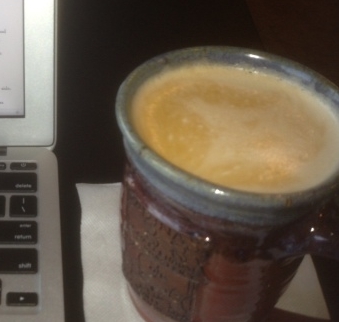 Time to hit “publish.” Have a great weekend! Jaime – you would love Radina’s. 🙂 I do find I get more writing done there at home. Fewer distractions, even with the distractions! There’s no laundry calling, no dirty dishes in the sink, no dinner on the stove. I actually haven’t spilled one drink on my keyboard. *knock wood* Crumbs on the keyboard, yes. But no liquids!